Lawmakers are finally talking about addiction as a public health issue. After decades of working together to punish drug users, lawmakers have taken a real, cooperative step toward treating opioid addiction as a health crisis rather than a strictly criminal problem. 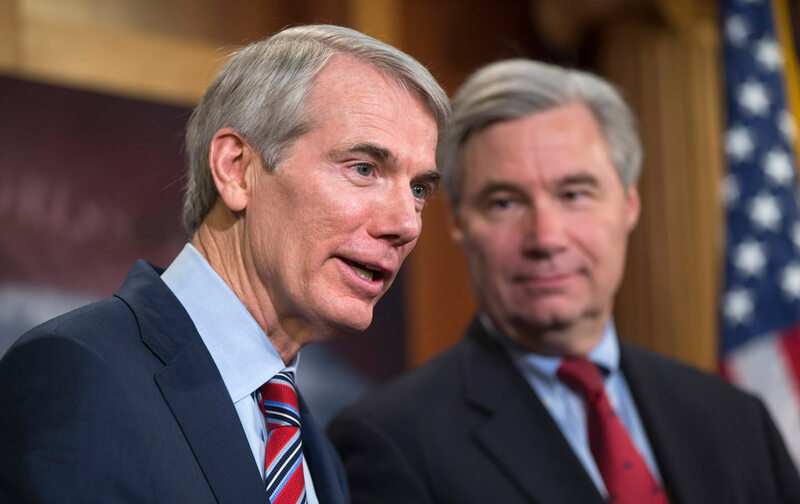 With a nearly unanimous vote on Thursday, the Senate passed the Comprehensive Addiction and Recovery Act (CARA), the first major piece of legislation aimed at drug addiction in more than a decade. The bill includes a number of measures aimed at reducing opioid abuse, expanding treatment programs, and preventing overdose deaths. The bill doesn’t direct any new money to treatment and prevention, and it neglects some crucial reforms; still, health and addiction experts “applaud[ed] the change of political discourse” around drug abuse that the bill signals. Overall, the legislation “sends a strong message that medication-assisted treatment is the standard of care for opioid use disorders,” wrote Daniel Raymond, policy director at the Harm Reduction Coalition, in an email. The drug treatment system in the United States has largely been built on abstinence-only and 12-step programs that have a terrible record of success when it comes to opioid addiction. The medical community has been pushing for a more comprehensive approach that includes therapy and synthetic opioids like Suboxone, which when used properly blunts withdrawal and blocks cravings without producing a high. The overwhelming approval of CARA suggests lawmakers are slowly catching up to the evidence. Specifically, the bill authorizes grants for state and local governments, as well as nonprofits, for medication-assisted treatment for people in prison, where it usually isn’t available; for military veterans; and for pregnant women. It authorizes state-run databases that track when patients are filling painkiller prescriptions from multiple doctors. The legislation supports diversion programs that direct drug users away from the criminal justice system and into treatment. It also mandates the creation of task forces on opioid prescribing practices and the collateral damage of drug enforcement, and gives police wider access to naloxone, a drug that can stop overdoses. Senator Sheldon Whitehouse, who helped write the bill, pointed to one big caveat: “Let’s not pretend there is new money” for everything the Senate authorized, he said, meaning it still has to be appropriated in the 2017 budget. Republicans blocked an amendment from New Hampshire’s Jeanne Shaheen that would have added $600 million in emergency funds. “CARA is good legislation that will help fight the heroin pandemic in the long term. However, without real dollars behind this bill, it’s the equivalent of offering a life preserver with no air in it,” Shaheen said in a statement following Thursday’s vote. Some of that money would have gone to prevention and treatment (including for pregnant women). But millions of dollars were aimed at boosting law enforcement programs that critics said represented a step backward toward a “war on drugs” approach, so the amendment’s failure is something of a wash. “Lawmakers in Congress should be looking at ways to build upon the bipartisan political will that CARA has cultivated for reducing the role that law enforcement plays in addressing substance use,” Grant Smith, deputy director of national affairs with the Drug Policy Alliance, said in a statement. In September, Health and Human Services Secretary Sylvia Burwell announced her agency will revise its regulations on buprenorphine to support wider access to the treatment. The White House’s budget includes hundreds of millions of dollars to do the same. In Congress, Massachusetts Senator Edward Markey has been pushing legislation to lift the prescription caps, and his bill will get a hearing in the Senate Health Committee next week. Markey is also working to make opioid addiction training mandatory for prescribers and to strengthen oversight of the FDA’s opioid approval process, two provisions left out of the bill the Senate passed Thursday. The other major omission in the Senate’s bill is money for syringe exchange programs, which give drug users access to clean needles in order to prevent the transmission of hepatitis C and other infections. Congress ended a ban on funding for the exchanges in January, partly in response to an HIV outbreak in rural Indiana last year. (They’re still illegal in nearly two dozen states.) But federal dollars haven’t actually been directed toward exchanges yet. Senators Sherrod Brown and Tammy Baldwin have proposed a $15 million grant program for exchanges, along with other grants to expand medication-assisted treatment. Public health advocates would also like Congress to make naloxone more widely available beyond first responders—to drug users themselves and their family members, for instance.